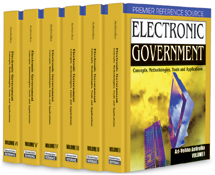 Traditionally, government agencies are organized vertically around functional structures and there are almost no processes spanning departments and agencies. In such an environment, the coordination of business processes and integration of underlying information systems presents a significant challenge. Using case studies in three European countries, this research explores process and systems integration challenges in the European public sector and highlight opportunities for service improvement in the context of e-government implementation. While cross-organizational process and information systems integration barriers are seen in the literature as presenting the main technical challenge for realizing fully integrated e-government services, this research found that a legacy of rigid bureaucracy, established illogical routine tasks and lack of coordination of different information systems in the public sector were preventing the respective governments from expediting their e-government initiatives in Europe.